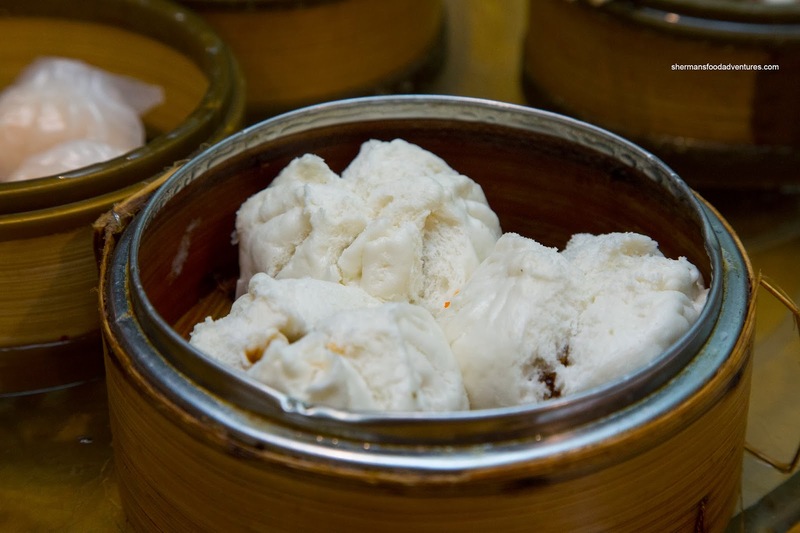 As much as I have tried all the available Dim Sum in Bellevue, I have yet to try any in Seattle itself. 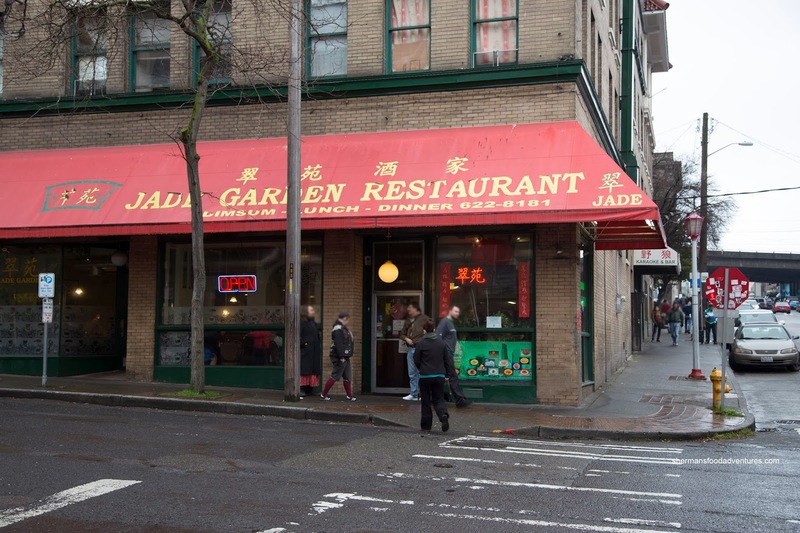 It's even more curious that I haven't visited Chinatown, where the "best" Dim Sum could be found at Jade Garden. Now, anytime something is declared the best, it is always debatable. So I could only do one thing - go for a food adventure! This time, Goose (fine resident of Bellevue) and his family joined us. Luckily for us, he directed us to free parking which is always a bonus - hey, it could pay for some haw gow! On that note, we did get some Haw Gow (Shrimp Dumplings) and they were so so. 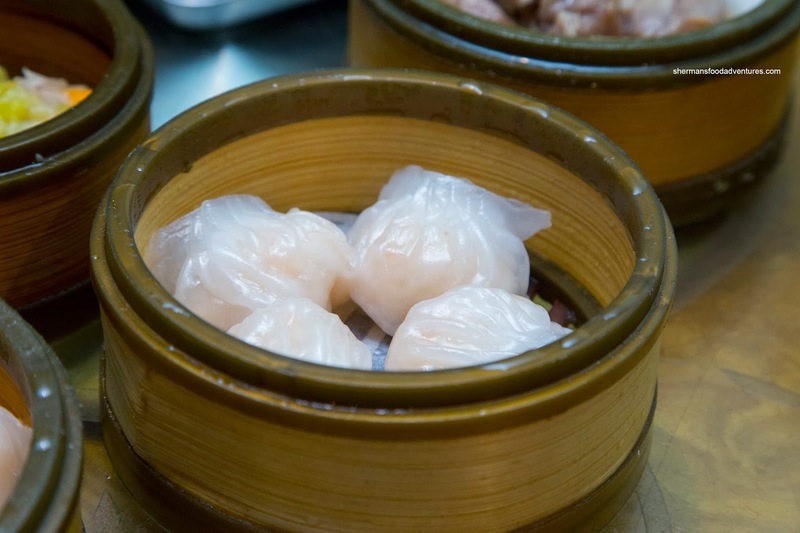 The dumpling skin was soft and gummy where it stuck to each other. As for the filling, it was mushy with some bits of shrimp that had a mild snap. In terms of flavor, I found them almost bland, but with a touch of sesame oil. 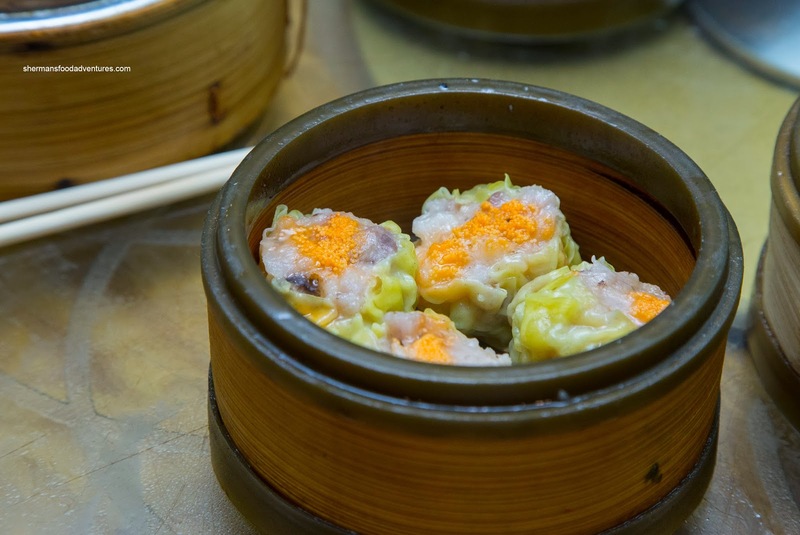 The Sui Mai (Pork & Shrimp Dumplings) were okay with an array of textures. Mixed within the fatty and mushy parts, there was some chewy pieces of pork. The dumpling tasted quite sweet with a definite pork flavor. Next up, the Black Bean Spareribs featured mostly rib and meat pieces with very little in the way of cartilage. The meat was chewy while tender at the same time. Although the visuals do not suggest a whole lot of flavor, there was plenty with just enough balanced seasoning. As for the Phoenix Talons (Chicken Feet), there was good and bad elements. On the positive side, there was a good amount of flavor which was sweet and savory. 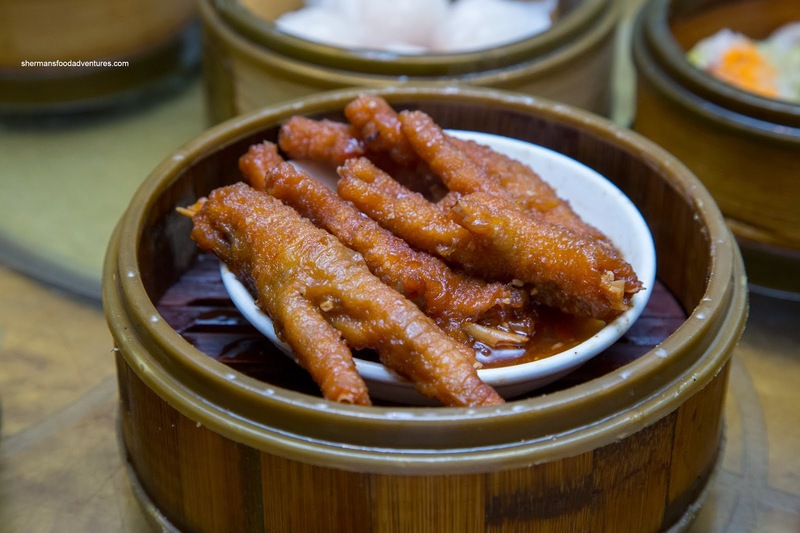 However, the chicken feet were too hard and had not been cooked long enough. Hence, they were firm with crunchy cartilage underneath. We ended up ordering both the Shrimp Rice Noodle Roll and the Mushroom Rice Noodle Roll (not pictured). 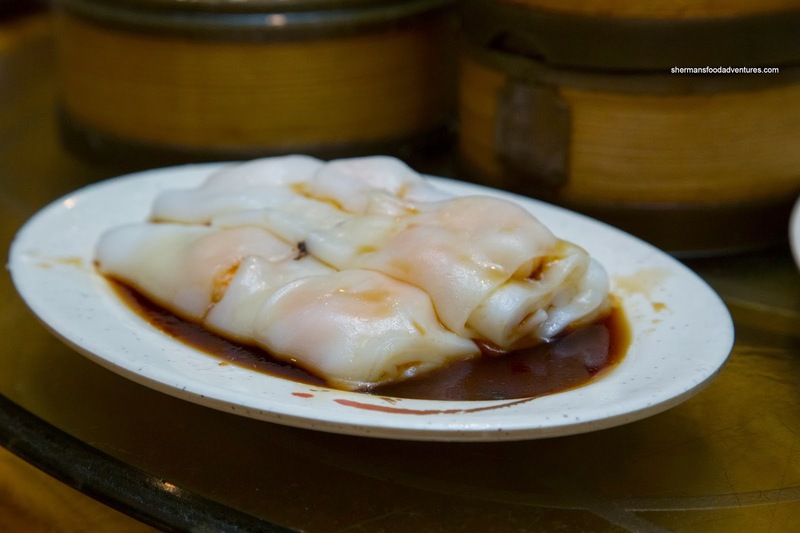 I found the rice noodle itself to be relatively thick and dense, yet it wasn't too cumbersome to eat. The shrimp filling could've had more snap, but at the very least, it wasn't mushy. I liked the mushroom one more as there was plenty of filling which meant it was naturally flavorful. 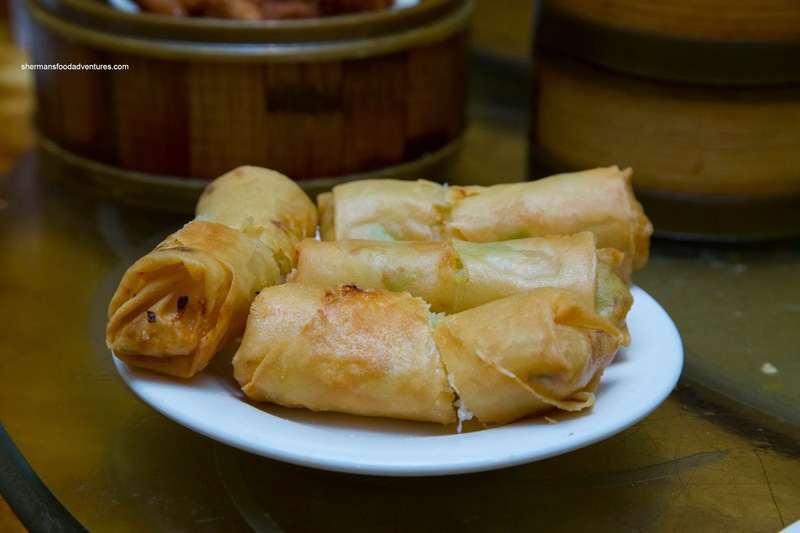 With the same mild snap, the Shrimp Spring Rolls were crunchy, sweet and airy (due to the modest amount of shrimp filling). Despite the visuals, they were not very greasy. Alas, we couldn't get away without ordering the Lo Mei Gai (Sticky Rice) with four kiddies at the table. We found it to be a bit dry, however, with the plethora of ground pork, it provided the necessary moisture. 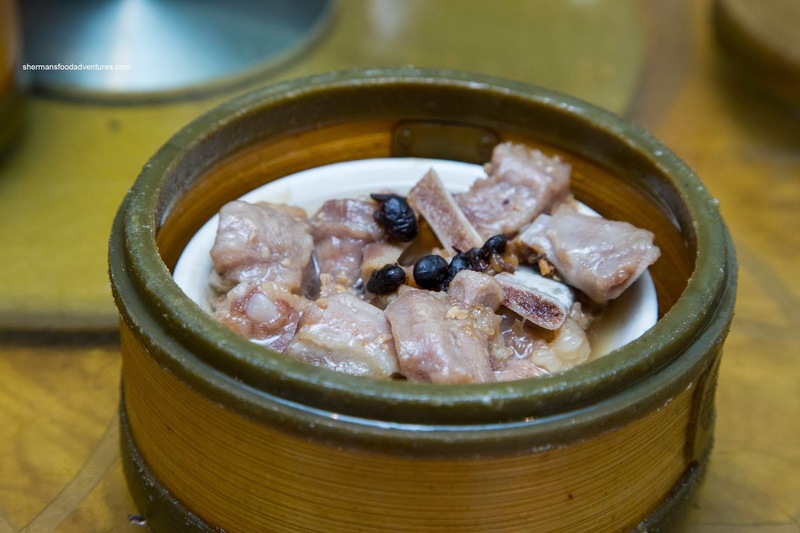 Much like the sui mai, we could taste the pork since the seasoning was mild. 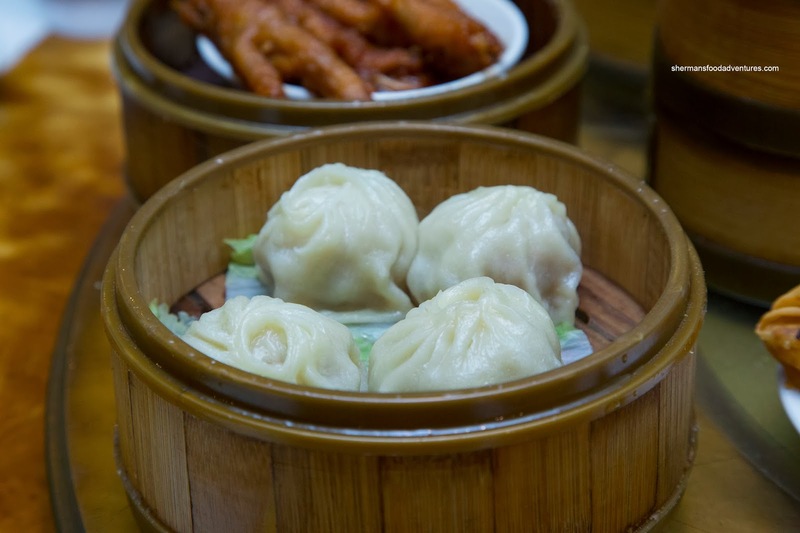 Although Xiao Long Bao are native to Shanghainese cuisine, we got an order anyways (this meal was Cantonese Dim Sum). It was not bad with all things considered. They were big with a chewy skin. The filling was gingery with barely any soup. Texturally, it was underprocessed, which made it chewy. 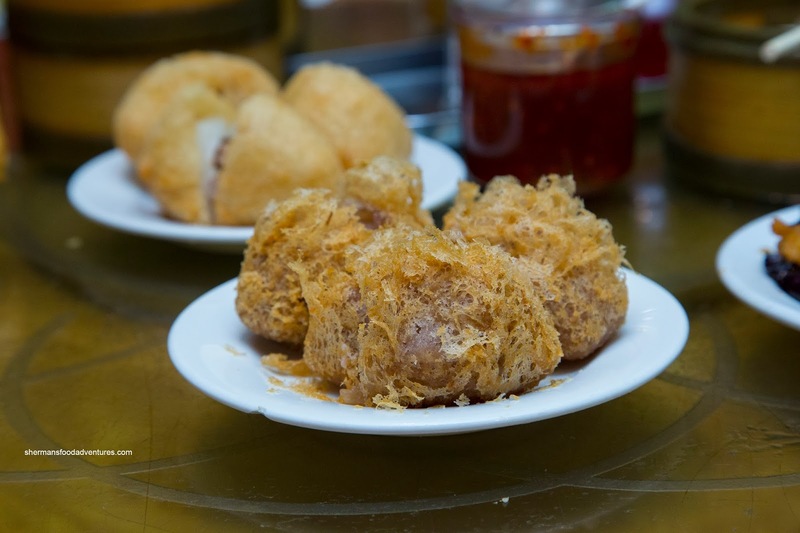 We then moved onto 2 fried items including the Fried Taro Dumplings. These were fried up crispy and not overly greasy. I found the taro to be smooth and well-seasoned while the filling to be slightly dry. It did taste okay though. 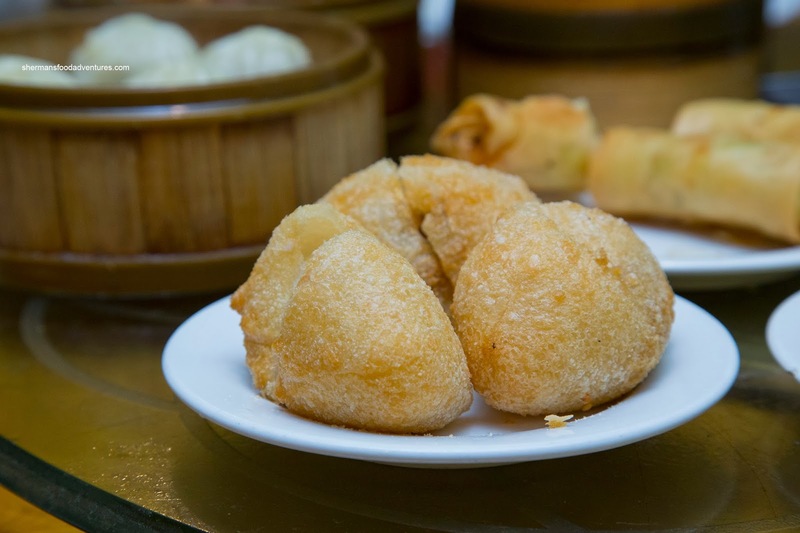 With a similarly dry pork filling, the Fried Dumplings were crunchy and somewhat greasy (but they always are greasy due to the glutinous rice flour). 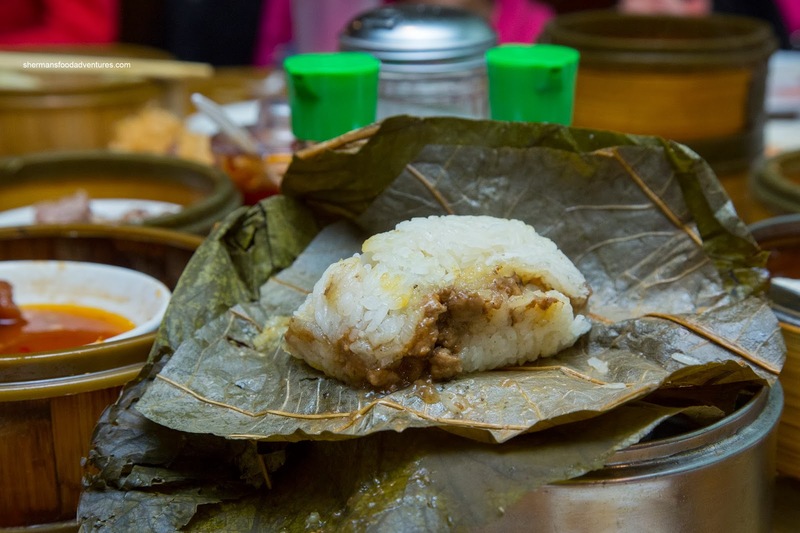 On that note, the layer of glutinous rice was far too thick which may have contributed to that. Moreover, with a thick exterior, it was a bit cumbersome to eat. Also for the kiddies, we got a steamer of the BBQ Pork Buns. These weren't bad as the buns were fluffy and not overly dense. The pork filling was on the sweeter side though as it tasted more like candied meat. Yet, what kid wouldn't like candied meat? Hmm... As it is abundantly clear from the picture, the Stuffed Eggplant was yearning for some real black bean sauce. As such, the dish was lacking flavor despite the inclusion of shrimp mousse. As for the mousse, it was firm (with little bounce texture) and added only a touch of sweetness. 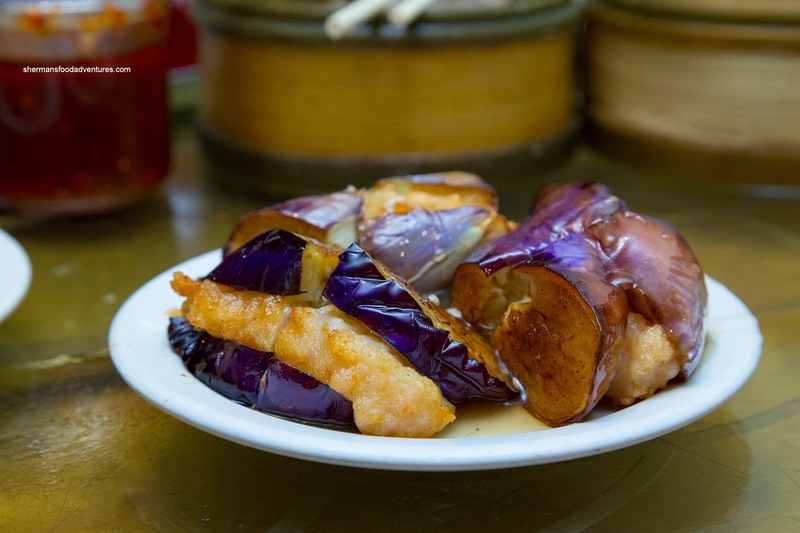 The eggplant was fried nicely though as it wasn't overly mushy. 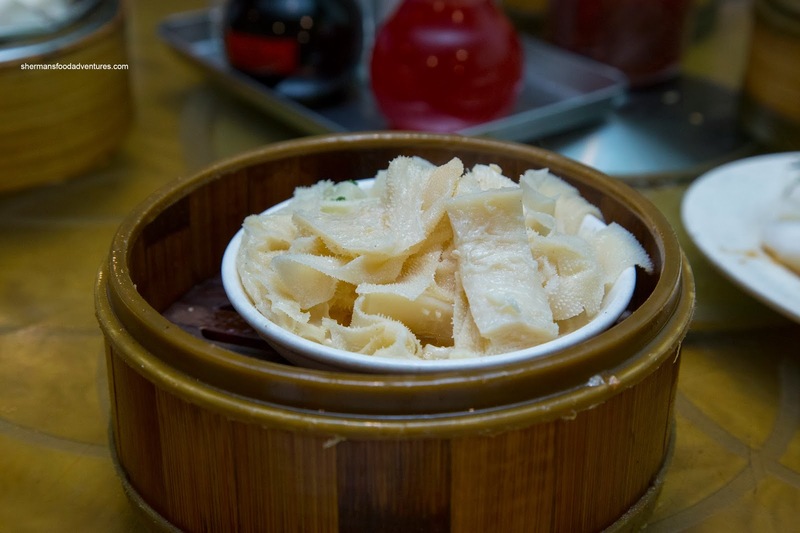 At the end, I had to get an order of the Bible Tripe because Dim Sum is not Dim Sum without offal (in my opinion). This was decent as the tripe was tender while still retaining a chew. Flavourwise, there could've been more ginger and green onion, but it wasn't bland at least. For dessert, we got a couple orders of the Egg Tarts. 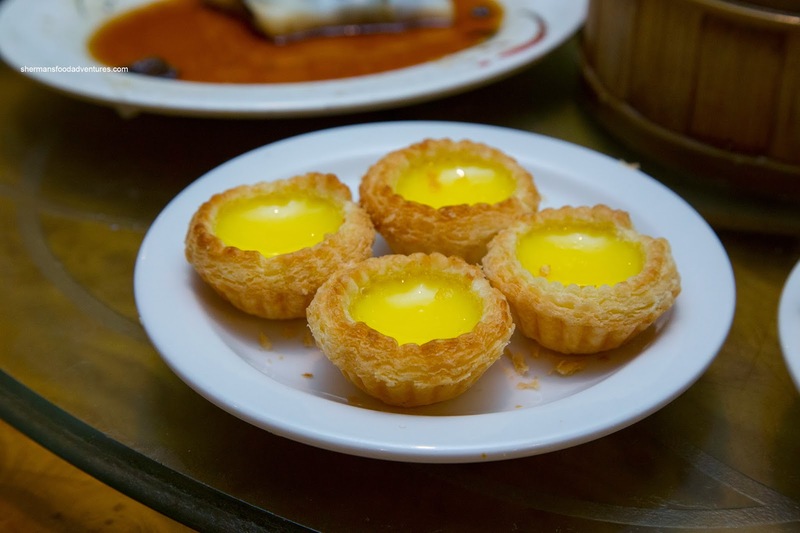 Within the flaky, buttery shells, the egg custard was semi-sweet and somewhat firm. These were pretty good. 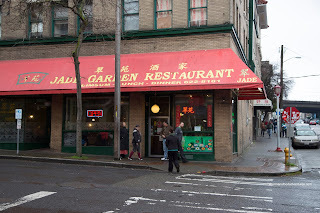 In the end, we thought the meal was pretty good for Seattle. I'm not sure if it is necessarily the best as Top Gun in Bellevue does a good Dim Sum service as well.